Homeowners should always be prepared for a home emergency, and in particular a plumbing emergency. At any moment the toilet could break, a pipe could spring a leak, or the dishwasher could overflow. And, if you are a homeowner, when that happens you want to be prepared. 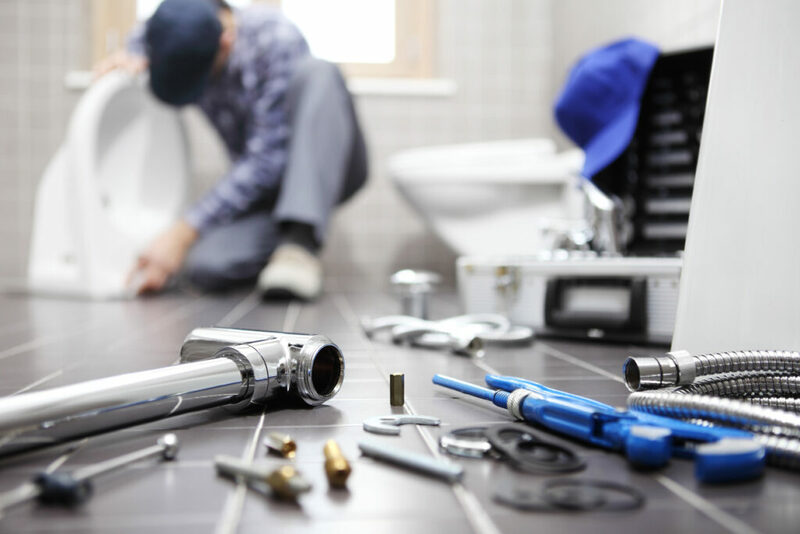 To be able to save yourself in the case of a plumbing emergency, keep these tools handy for a quick fix! A basin wrench is a basic plumbing tool that every homeowner should own. A wide-mouthed wrench, this tool is able to easily grip to loosen and tighten the nuts and bolts on under the sink piping. Anyone can find and easily acquire a basin wrench at their local home improvement store. Yes, there are a lot of pliers used in plumbing, but that is because there are a variety of pipe sizes and shapes that might need to be reached. If you have a pipe wrench on hand you will be able to easily tighten and loosen any size of pipe in your home. Hint: A Pipe Wrench is most likely the first thing you think of when you think of plumbing tools. Tongue and groove pliers, also known as channel locks, are long, slender pliers that can be used to reach tight spaces where pipes might be hidden. Plumbers use these pliers all the time to grip hard to reach pipes and manipulate them during repairs. In the plumbing world, drain snakes are also known as augers and are used to break apart tough clogs in drains and pipes. You can use a snake to fix clogs in your toilet, sinks, and shower drains. If you don’t have these few simple plumbing tools handy, that’s okay! You can always call the professionals at Arctic Plumbing, Heating, and Air Conditioning to help you out in your time of need. Just let them know when you need them and they will be on site in the same day!